In Need of a Specific Nissan Part? 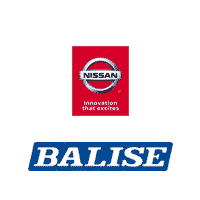 Find it at Balise Nissan of West Springfield, Proudly Serving Springfield, MA. Without a doubt, it can be a bit daunting making sure you receive the exact right Nissan part for your Nissan Rogue, Altima, Sentra, Maxima or Frontier. But that’s exactly where our Balise Nissan of West Springfield experts are here for. Across the Springfield, Chicopee, Westfield, Holyoke and Enfeild, CT region, drivers know they can trust our experienced auto parts team to locate the right component for their vehicle. This means more piece of mind during repairs for our valued customers. Ready to purchase that new part for your model? Make sure to check out our Nissan part specials, before shopping anywhere else. To do so, simply check out our online specials, submit an online order form, or, simply come visit us in person, open daily during regular business hours.